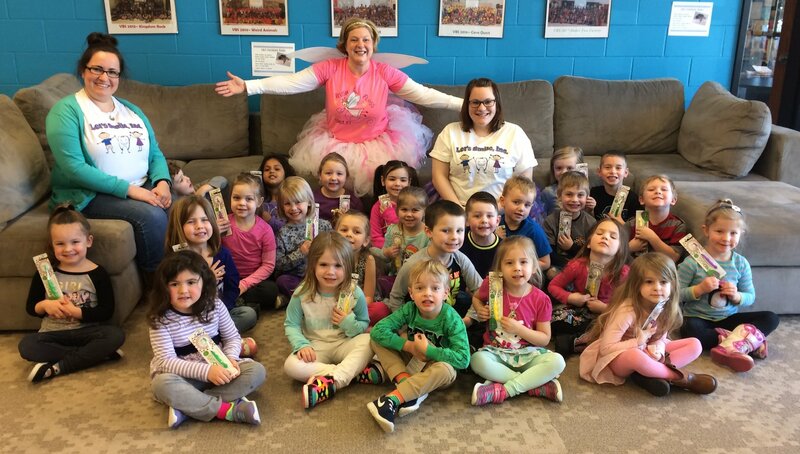 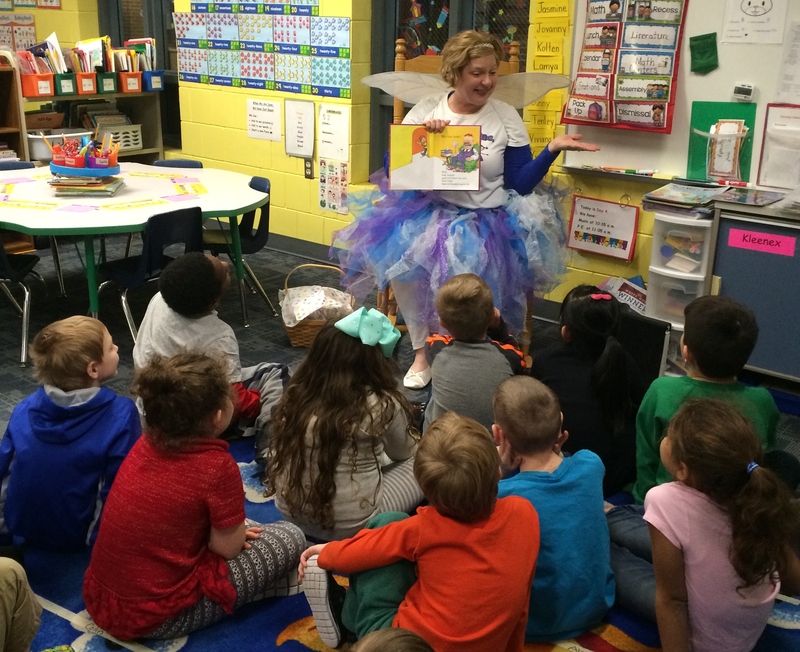 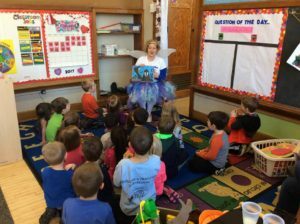 Preschools: dresses up like the Smile Fairy, read child-friendly dental books about the importance of teeth & how to keep them healthy. 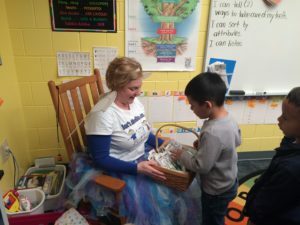 Every child receives a new toothbrush. 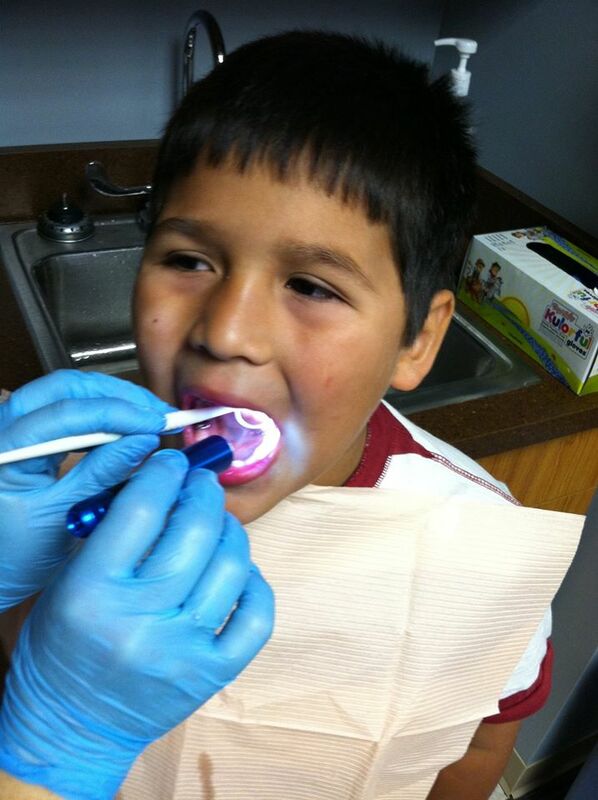 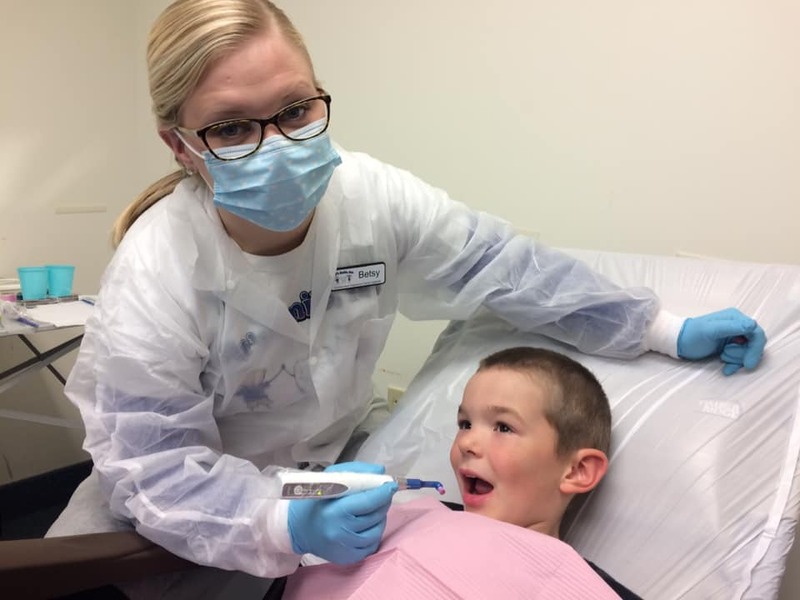 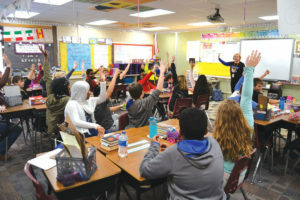 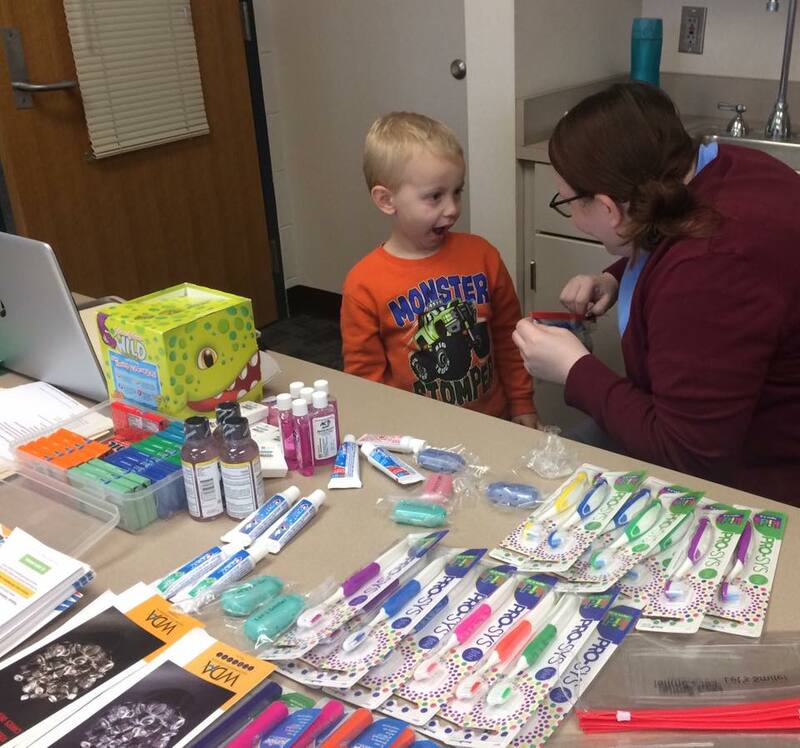 Elementary Ages: promotes and educates children about the importance of maintaining a healthy mouth through brushing and flossing, regular dental visits, eating healthy foods, and addressing oral health topics. 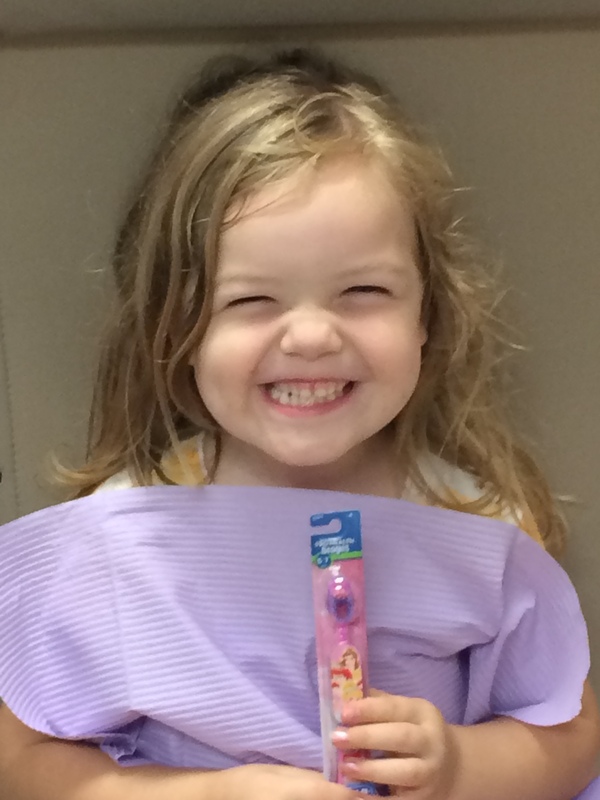 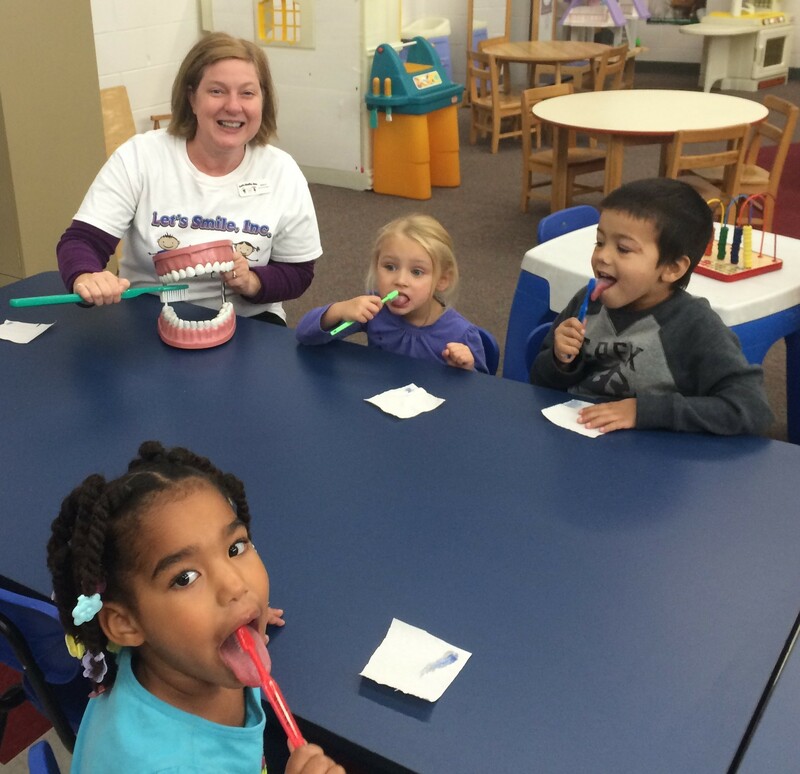 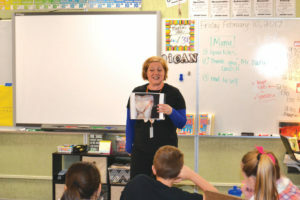 We distribute age-appropriate toothbrushes for every student. 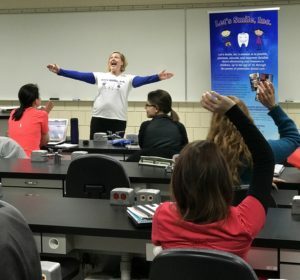 Junior High and High School Ages: Provide hands-on oral hygiene instructions with disclosing tablets and oral health tools. 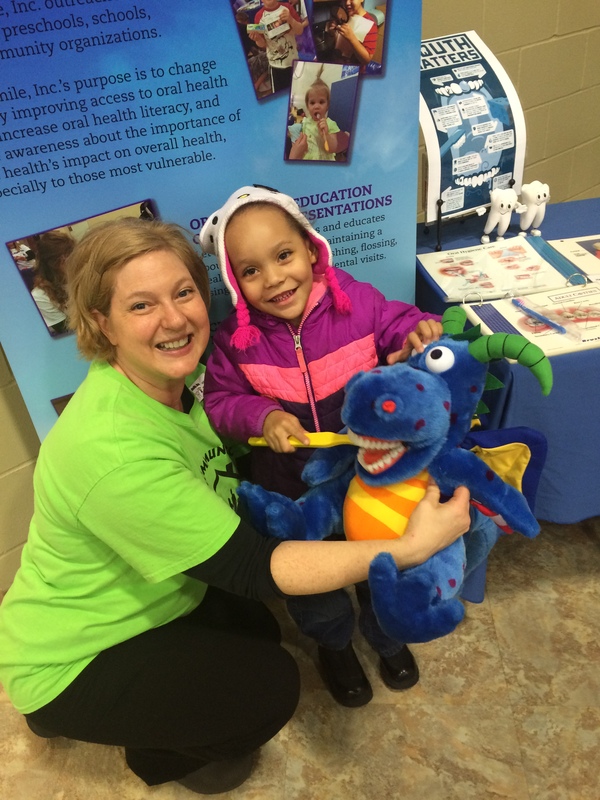 Educates preventive strategies and knowledge they need to protect their smiles and the importance of oral health to overall health. 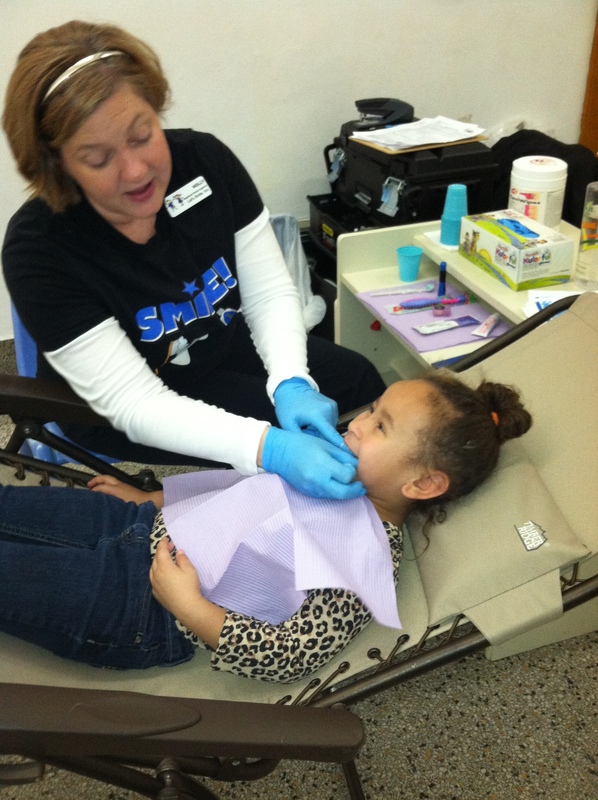 Every student receives a toothbrush, toothpaste, and floss. 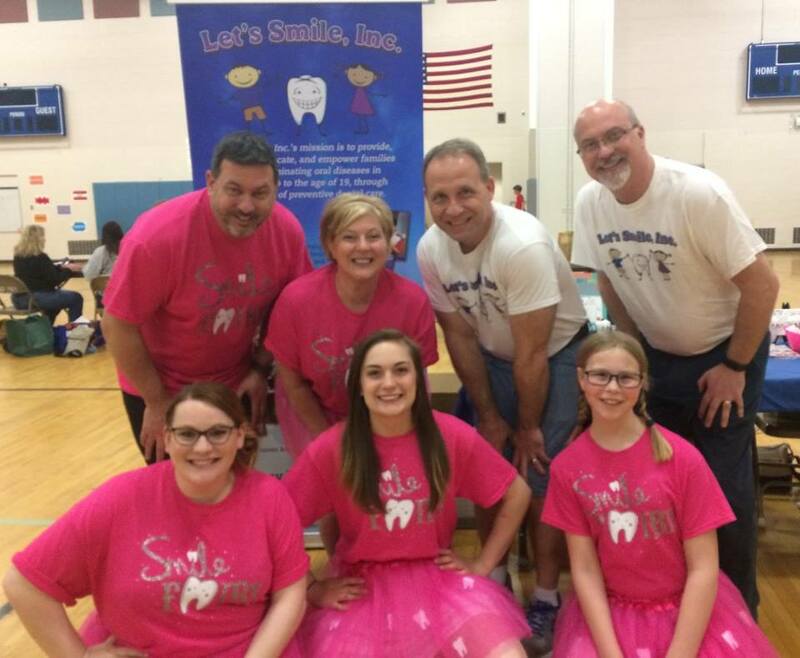 Copyright 2018 Lets Smile, Inc.